Krista Nelson, LCSW OSW-C BCD is trained as an oncology social worker and works in clinical, research and program management roles within Providence Health and Services. Krista Most recently joined the Compassion team as a Program Manager, and has appreciated bringing her clinical expertise to work on creating supportive infusions of compassion to caregivers. She provides individual support as well as group support for those affected with cancer and facilitates an YSC online support group for women with metastatic cancer and runs a program for children with a parent with cancer. Krista defines her role as providing support for people and their families throughout the cancer continuum, and sharing the expertise that she has learned from other patients with cancer. What she loves about working with those affected with cancer, “is being able to witness the grace, courage and life lessons of individuals dealing with cancer and the opportunity to be a part of their journey.” Krista is a past President of the board of directors of the Association of Oncology Social Work and past invited Director of the American Psychosocial Oncology Society. She loves being a part of the national discussion involving the psychosocial care of people with cancer. She has been a speaker at local and national conferences on issues of survivorship, palliative care, distress screening and children who have a parent with cancer. 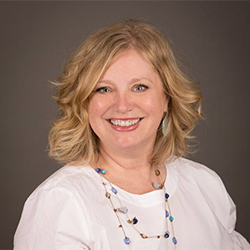 Krista also serves as an Invited Director on the board of directors of the National Accreditation Program for Breast Centers, and as a Director of the American Clinical Social Work Association. In 2015, Krista was named as a finalist in the Schwartz Center Compassionate Caregiver of the year award and received and Innovation Award from the Association of Community Cancer Centers as well as was elected to their Board of Trustees in 2016. Krista also has been a volunteer facilitator at retreats for women with breast cancer and at camps and programs that support grieving children. She also has volunteered annually on medical relief teams to Haiti since 2009.